Maximum freedom of design: the right cabinet for any taste. 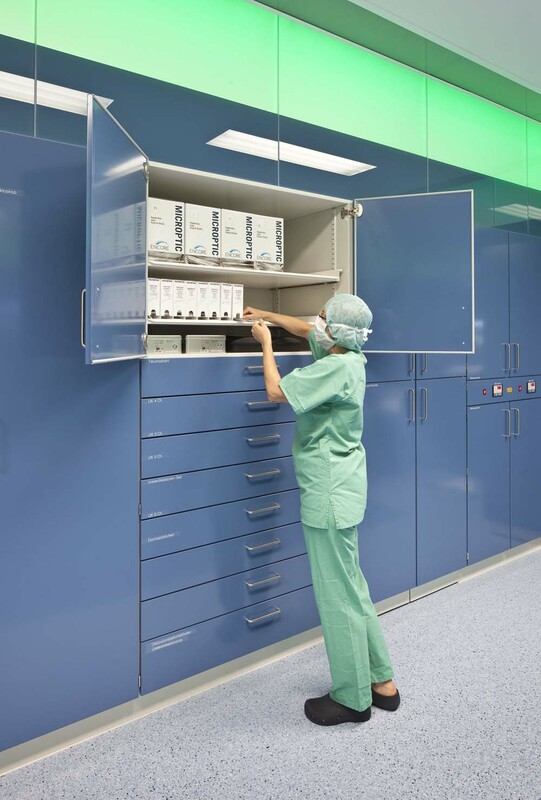 All types of cabinet are available in various standard heights, widths and depths as well as with special dimensions. 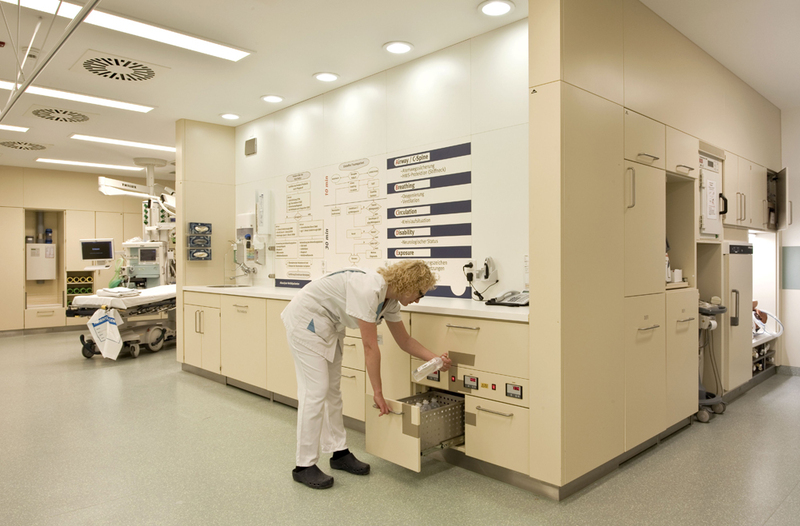 Our modular-design hospital cabinet systems M9 and M11 round off the product portfolio. 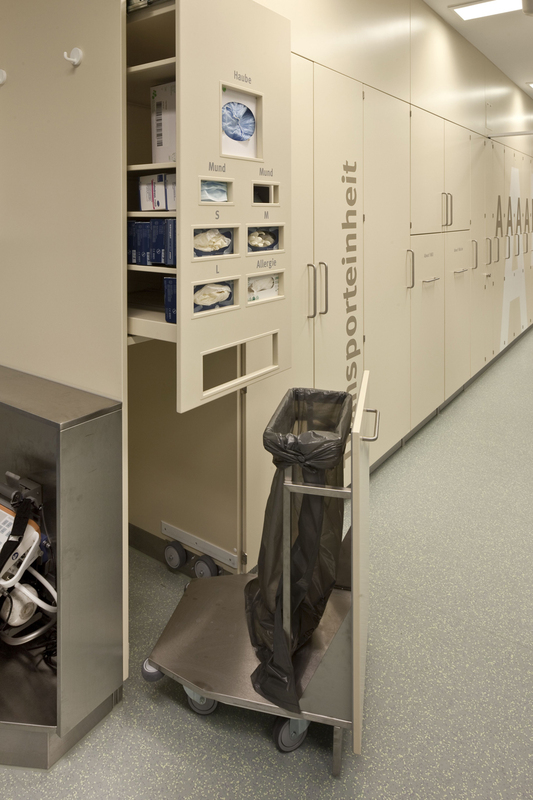 Excellent team players: all our materials join up seamlessly. 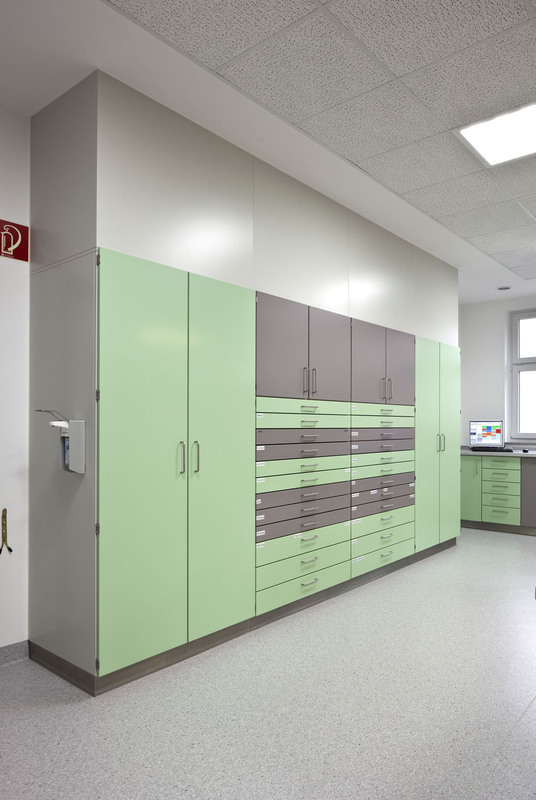 Our cabinets are made of CNS or powder-coated high-quality steel (see BECKER colour chart) and come as part of several design families. 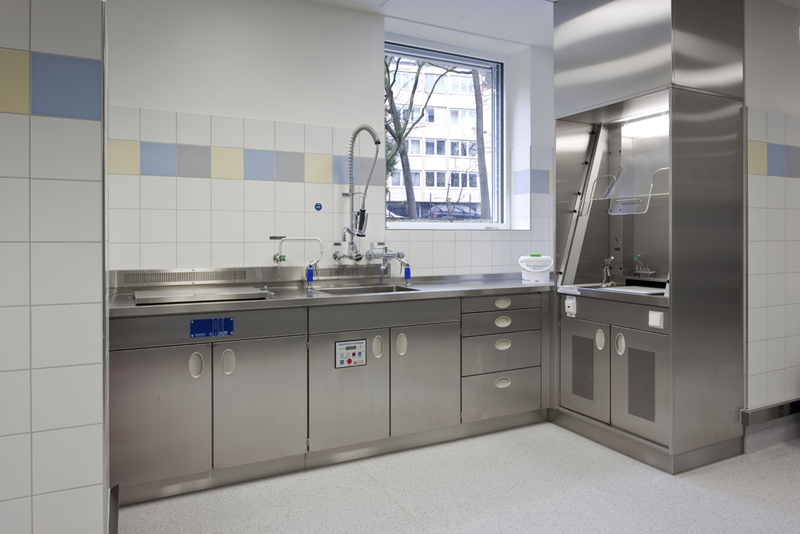 They are supplemented by other up-to-date materials (e. g. used for work tops, internal fittings, drawers etc.). Refer to the Materials page for details. 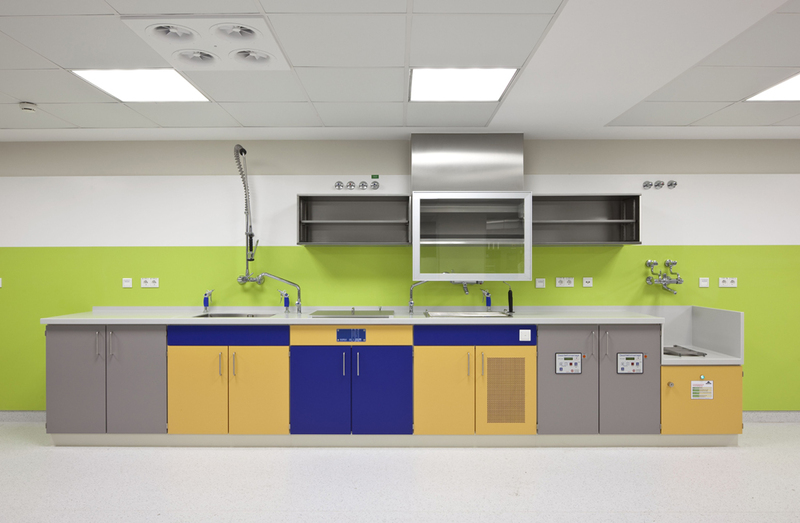 Simply unbeatable: work tops combined with BECKER furniture. 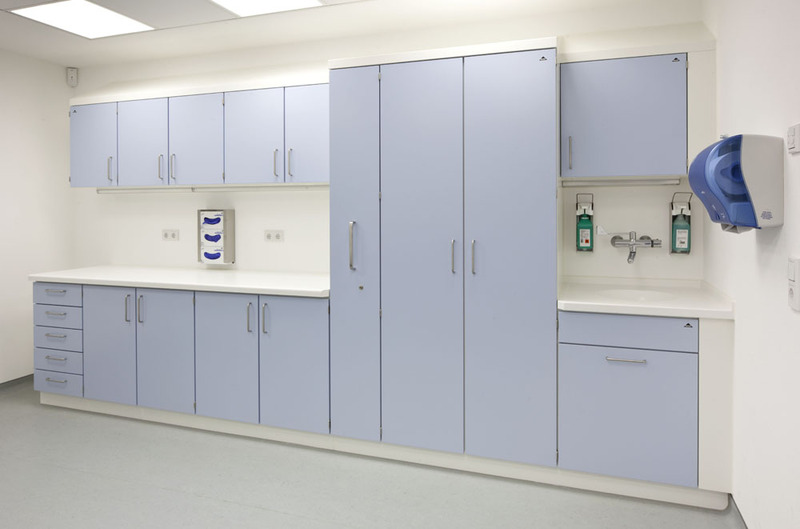 Clean, good colour depth and durable: our range of work top designs, matching all our furniture model ranges, are all that a hygiene specialists could ever wish for. 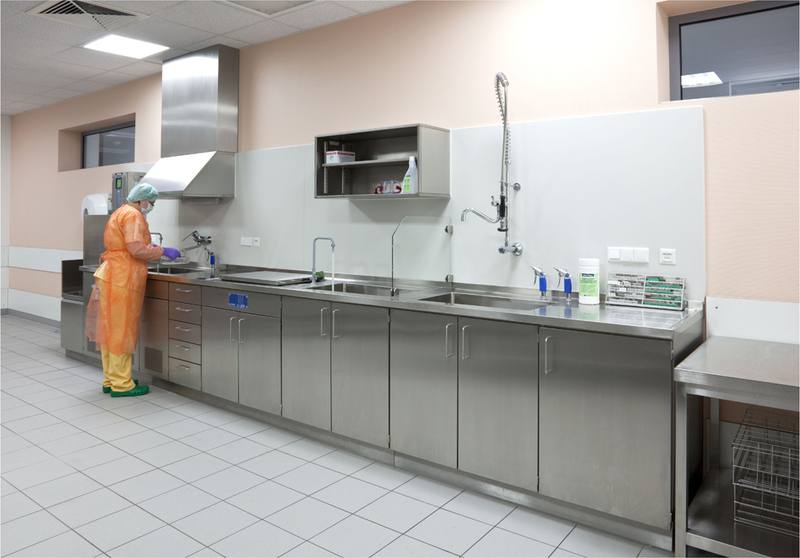 Ultrasonic cleaner or steamer, pressurizing pump, BECKER’s specially developed endoscope sinks or sinks with plaster trap, taps or cleaning spray pistols – they are all there when you need them. Individually adapted and fitted. 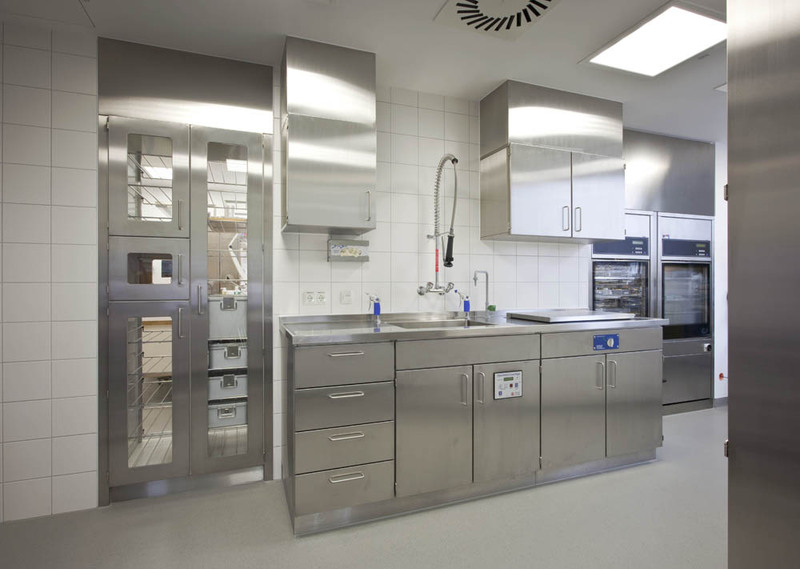 Need a refrigerator or deep-freeze unit here? 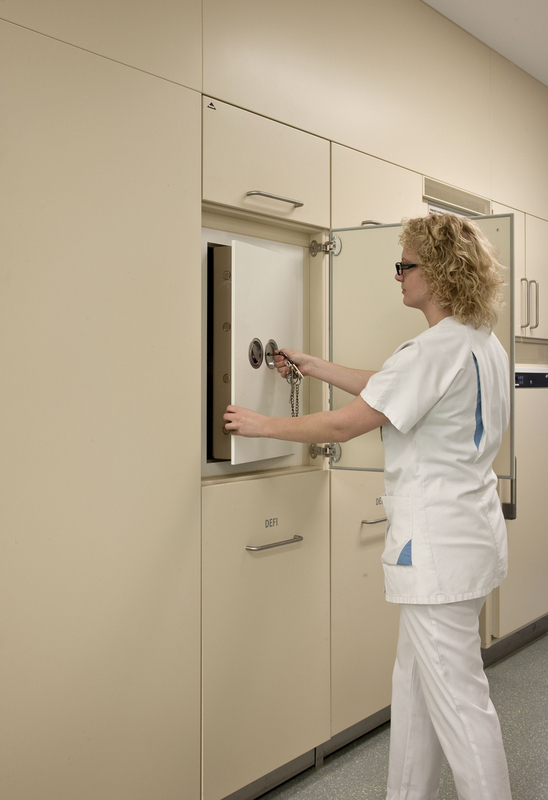 Or a safe, a warming cabinet, warming drawers, light strips or even ladder-rails and ladders there? We simply integrate these into our cabinet systems. Convenient and always where you need them. 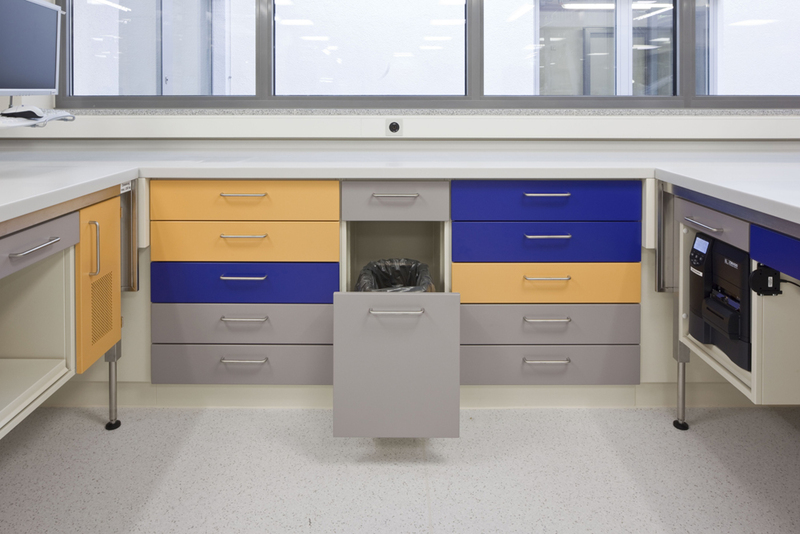 Perfect combinations: It’s entirely up to you to decide on the internal arrangement of your cabinets. 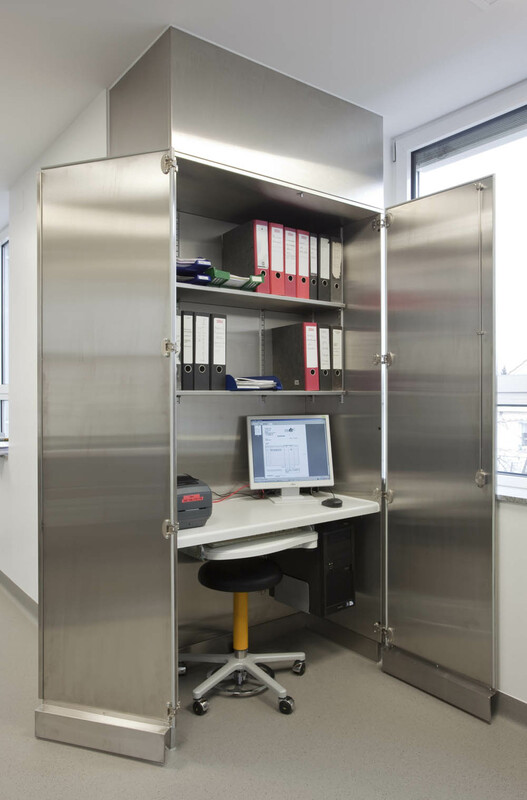 Our mounting grid ledges allow you to adapt the interior layouts of the cabinet systems, both fixed and mobile, to suit your own individual work procedures. Easily and quickly modified – by anyone. Additions, conversions and re-arrangement of cabinets and rooms, all-inclusive. 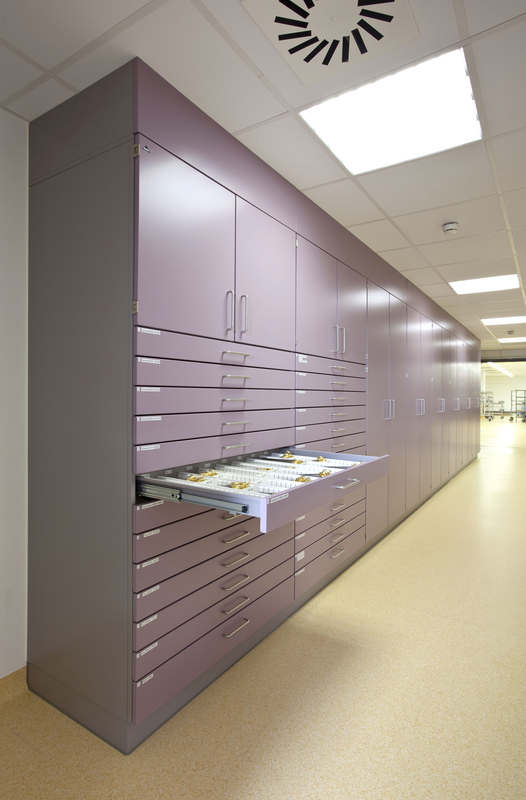 Smooth access to perfect orderliness with BECKER drawers and drawer divider systems – also for greater loads. 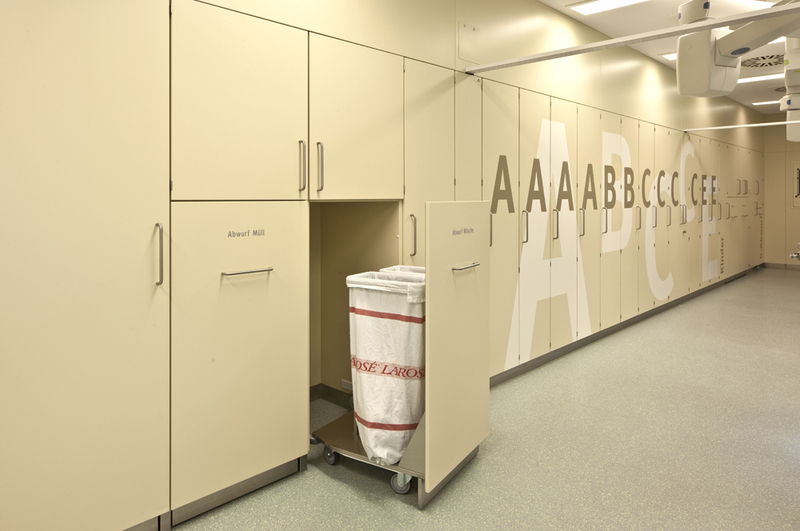 We have the BECKER Series U21 drawer sub-divider system at the ready for storing larger utensils. Series U10 is responsible for instruments and other small items. 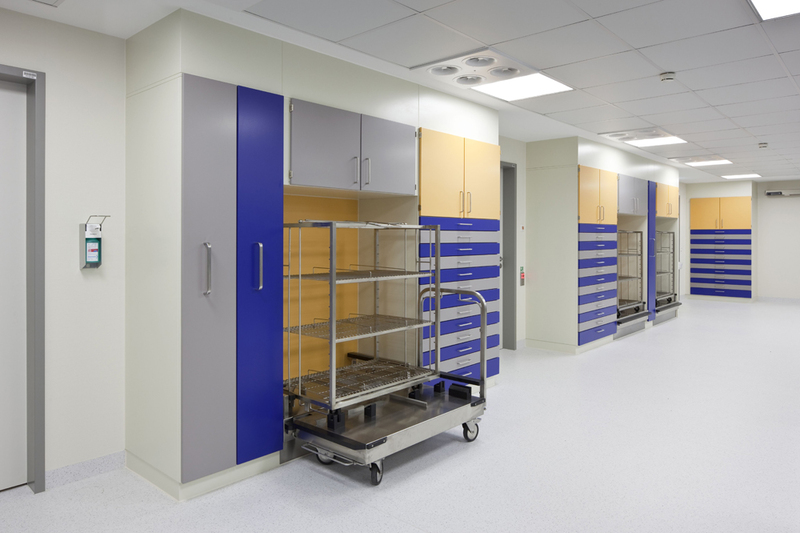 Both are suitable for individual arrangements in cabinet system drawers as well as for mobile anaesthetic trolleys and dressing trolleys.